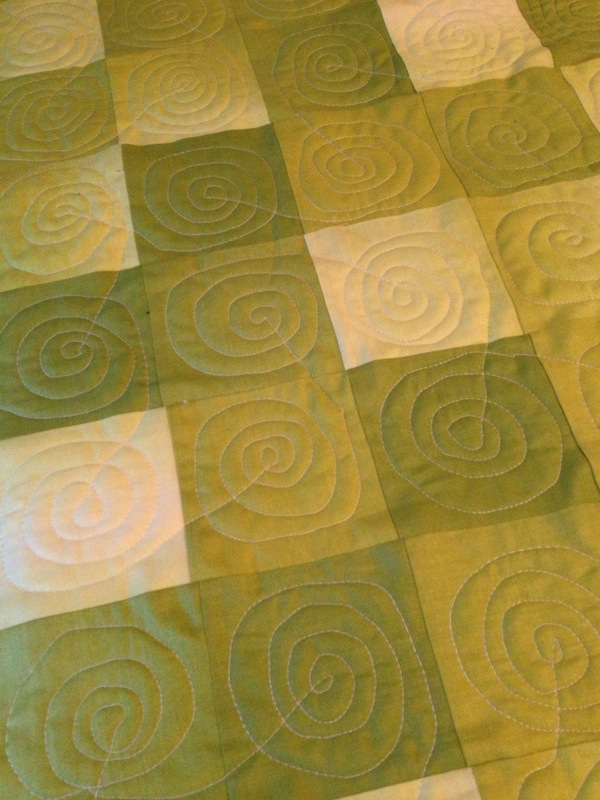 I tried a new quilting design last night, inspired by some conversations about free motion and some of the amazing displays at Quiltcon. It still looks a little shaky, but each block looks better than the last. So that last block in the corner will be the best one? Blerg. I like the overall effect. It reminds me of snails. Hey Melanie! 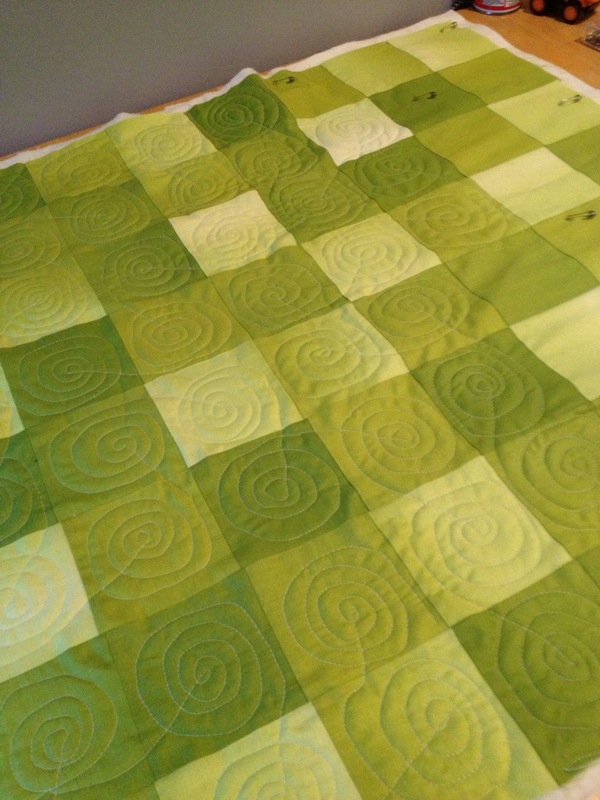 I found your blog through the NJMQG blog, and I am loving looking through the quilts I haven’t seen. You have some beautiful quilts. I really love this and the “snail” pattern effect. I can’t wait to see what you bring to the March meeting! Thanks! I really liked what you brought on Thursday too. I love finding people online who I have met in real life. Thanks for stopping by! I can’t wait to check out your blog.